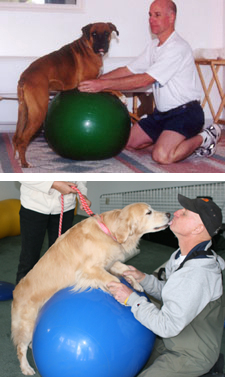 We are proud to offer a wide array of low-impact exercises that provide your pet with therapeutic results. We have the equipment and techniques to improve active range of motion and weight bearing tolerances, as well as improving endurance and coordination. Running, cavaletti, weight sled and obstacle courses are used in conjunction as part of an overall recovery/strength program.